San Francisco entered the 1990’s literally shaken. 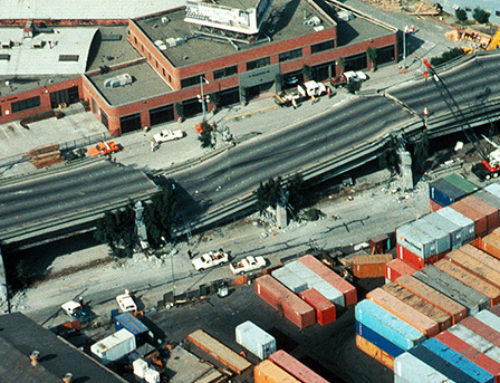 The 6.9 magnitude Loma Prieta earthquake rocked the city on Oct. 17, 1989, just months before the decade began. It shook buildings and freeways, including the double decker Embarcadero Freeway that had hidden the Ferry Building from the Market Street artery since 1959. 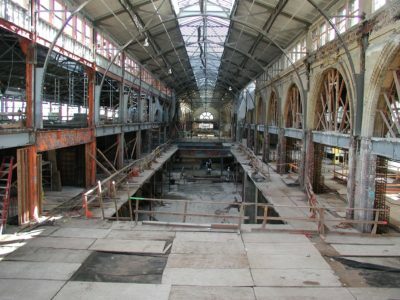 The old Ferry Building, long removed from its original uses, could reveal its face once again. The Port of San Francisco, design and planning community, and Page & Turnbull all foresaw an opportunity to revive the neglected pier property and reunite the waterfront with the city. When the Embarcadero Freeway nearly collapsed, San Francisco had to decide whether to rebuild the freeway or remove it, in order to reconnect the city with the eastern waterfront and the historic Ferry Building. Then-Mayor Art Agnos led the charge to remove the freeway, mainly because the city’s freeway plan, dating back to the 1940s, was no longer in line with the city’s character and had fallen out of favor with its residents. The plan shifted to replacing the freeway with an enhanced Embarcadero. This boulevard, which once had its own railway and supported freight movement during the ‘break-bulk era,’ has always marked the division between San Francisco’s waterfront and the rest of the city. 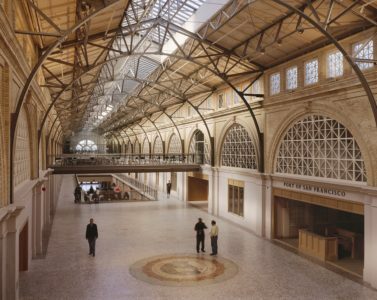 In the late 1990s, the Port held a competition to name a development team to rehabilitate the Ferry Building. The group chosen was led by Wilson Meany Sullivan and included several architects, including Page & Turnbull for preservation. Ultimately, the Port sponsored redesign not only of the Ferry Building, but a new plaza connecting the waterfront with Justin Herman Plaza and the foot of Market Street. The iconic waterfront building, with its tower, regained its rightful place as the focus of the city’s downtown. The Ferry Building interior, however, was in disarray and major renovations would be needed to rehabilitate this 1896 landmark. 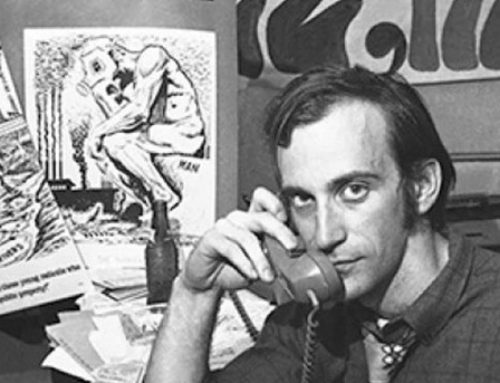 (Page & Turnbull had begun providing historic consultation on the building in 1978.) One of the first design decisions made by the development team was to open up the first floor to serve as the primary public space and retail center, replacing the original main entrance on the second floor. 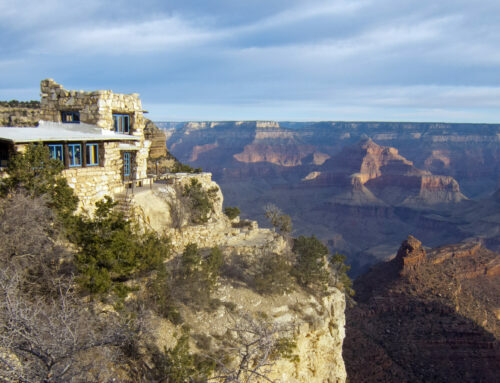 It was proposed to cut two openings into the second-level floor and to call for complete removal of the non-original third floor. This allowed the 660-foot long nave, or central hall, to be visible from ground level and flooded the interior with an impressive amount of daylight from skylights in the roof. During the reconstruction process, Page & Turnbull discovered that 11 of the 44 brick and terra cotta arches that define the nave had been destroyed and needed to be replaced. Kreysler & Associates created a mold to shape fiberglass into sections where the original fabric was destroyed. This provided visual continuity and a replacement for the lost arches. To match the texture and patina of the old brick, six different pigments were hand-applied to the fiberglass and carefully blended to insure optimum color matching. Today, the Ferry Building welcomes six million visitors a year. It has become the central focus for those walking along Market Street and is a transportation hub for ferries coming and going on the Bay. It is not only a landmark of the city, but also a testament to the creativity and resourcefulness of the Port, its development team, and the community. From the restored arches and mosaic tiles to the new retail storefronts along the first floor, the building is a reminder that not only can rehabilitated historic buildings provide vibrant retail and public space, but that through natural disasters we can learn how to better construct our built environment and make something old new again.